pencil drawing. 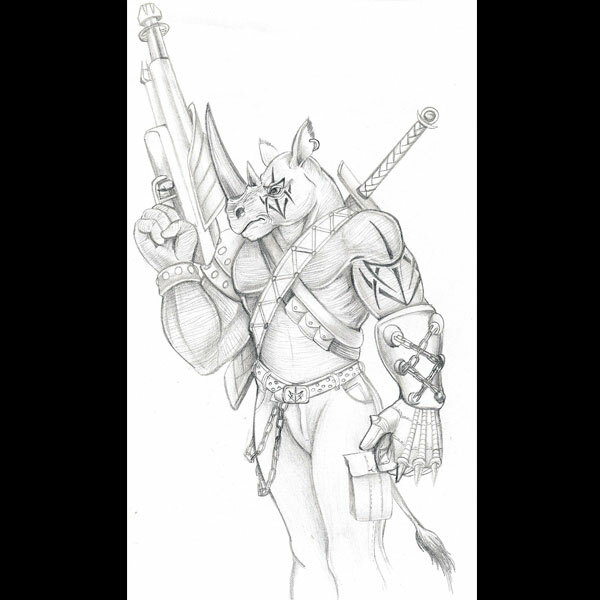 Big tough guy gun totin' tribal tattooed rhino swordsman complete with studded belt and wallet chain! Nothing strange about that.